How can we help? Colder's Customer Service is at your service. We're here to answer any questions or concerns you may have. The links below will guide you to the information you are searching for. Furniture and Appliance Service - solutions@colders.com. Bedding Service - Please fill out a mattress claim form here. 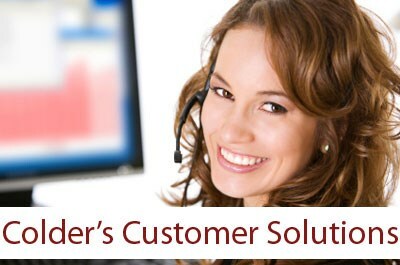 Contact Us - If you cannot find the answer to your questions here, contact our Customer Solutions Center by phone at 1-414-476-1574 or by email at solutions@colders.com. Delivery - Take it home today or have it delivered. Dryer Vent Wizard - Professionally inspects, cleans, repairs, and installs clothing dryers in homes learn more here. Furniture Care - Proper care and maintenance of your merchandise can extend the life of your product. Here is what you need to know. Payments & Financing - Make your dream a reality!